Come and see the works of the Quercy-based sculptor Fernando Costa! 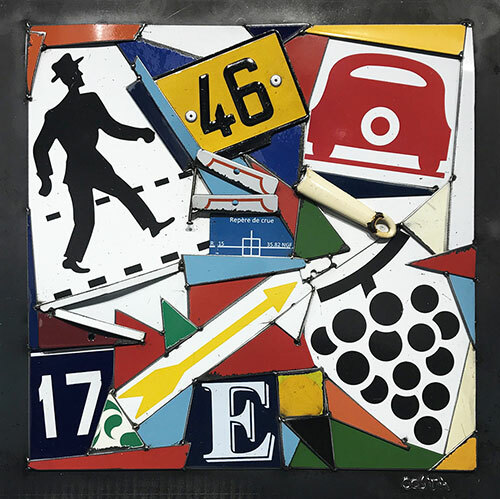 Fernando COSTA has been fascinated by road signs since 1998. He cuts them up and rearranges them by welding the pieces on to large metal sheets to create startlingly original artworks. Fernando Costa will be visiting the gallery on 15 July to talk about his work. Just drop in and meet him!!! 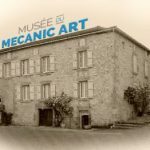 Villa Mecanica was opened in Saint-Cirq-Lapopie, one of the most beautiful villages in France, in 2015. The Villa Mecanica is the world’s first gallery devoted exclusively to Mecanic Art.